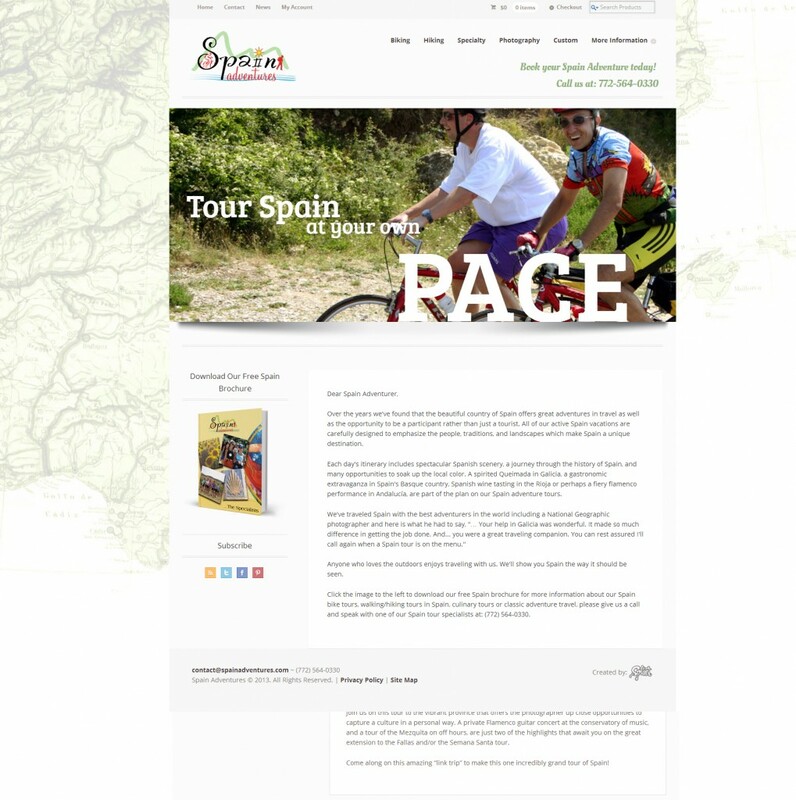 Spain Adventures hired us for an extensive rebuild of their website. Their previous website was built by a very inexperienced web designer so we were tasked with the challenge to clean up the mess and upgrade their site completely. We built a custom solution with a simple to update administration panel, mobile friendly construction, and integrated with blogging and social media capabilities. 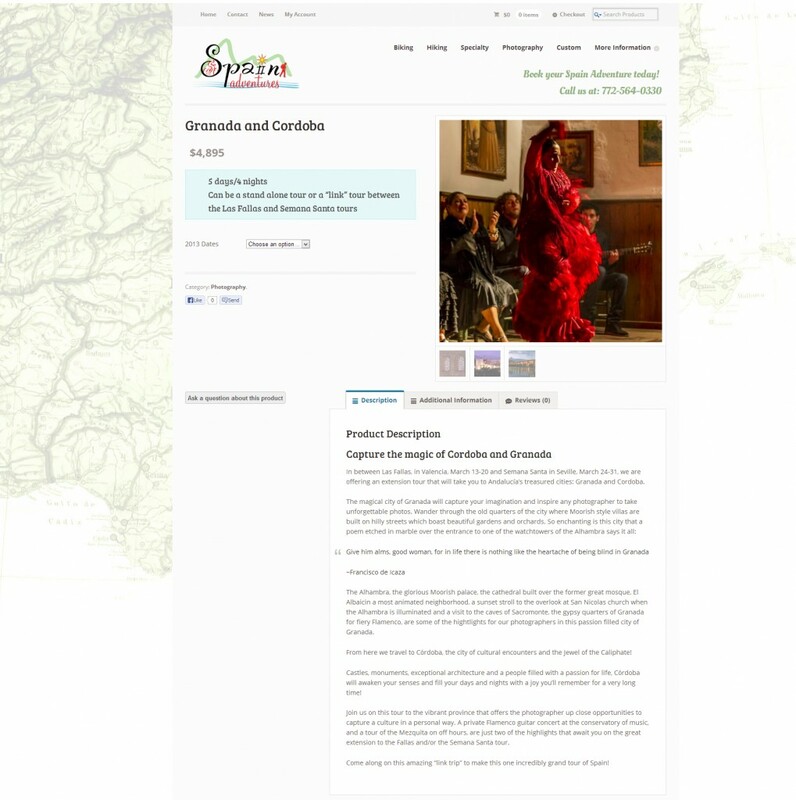 We also built a specialized calendar system that automatically formats all of their posts and links to the appropriate trips.